Palatine Park District will host the annual Big Trucks, a free community event, on Saturday, May 5, 2018 from 10:00am to 1:00pm in the Family Aquatic Center Parking Lot, located at 340 East Palatine Road, Palatine. Parking will be available in the Community Center Parking Lot located at 250 East Wood Street, Palatine. 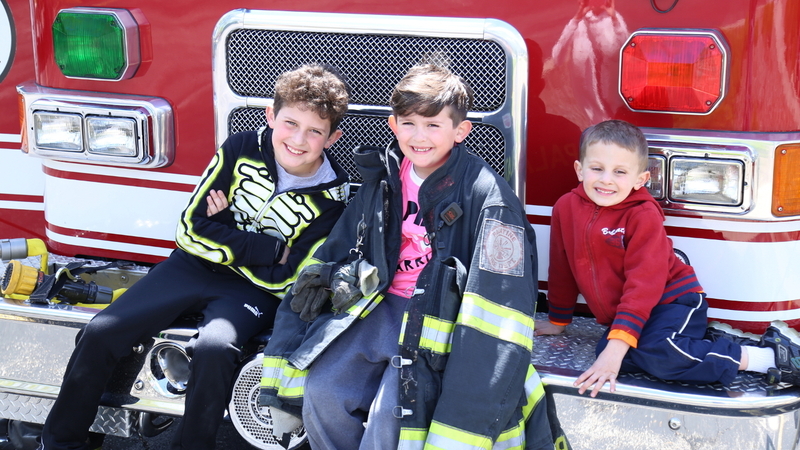 This entertaining family event allows children of all ages the opportunity to see big trucks and vehicles up close, and they will even be able to sit in the driver’s seat in some of the trucks. This year’s event will once again include goody bags for the first 1,000 children, a free prize raffle, a craft area provided by Lakeshore Learning, outdoor inflatables provided by The Playground Games, and Palatine Park District’s Family Aquatic Center concession stand will be selling family friendly lunch items catered by Pizza Bella. Groups currently scheduled to showcase their vehicles may include: Groot Recycling, Palatine Police Department, ABC Plumbing, Heating, Cooling & Electric, Community Consolidated School District 15, Village of Palatine Public Works Department, Palatine Fire Department, Hillside Towing, Prairie Material, Palatine Township, Jewel-Osco, MBL Recycling, Palatine Emergency Management Agency, Matusek Enterprises, and Palatine Park District. The 2018 presenting sponsor of Big Trucks is Andigo Credit Union. A variety of businesses and organizations support this event through their gold level sponsorship, including ABC Plumbing Heating Cooling & Electric, Just Peachy Photography, Palatine Bank & Trust, Zeigler Auto Group of Schaumburg, Daily Herald Media Group, Lifeway Foods Inc, Arlington International Racecourse, Orthodontic Experts Ltd, Palatine Public Library District, The Playground Games, Plum Creek Supportive Living, and SportClips Haircuts of Palatine. For more information about the 2018 Big Trucks event, contact Preschool/Tots Coordinator Karen Rude at 847.496.6239 or krude@palatineparks.org.